One of the things that new children’s writers sometimes fail to do is read a lot of children’s books. Many consider themselves beyond such books, and instead plan to rely on their knowledge and experience reading them as a child. But this is actually a terrible idea. It doesn’t matter if you enjoy writing middle grade, YA or picture books; you should enjoy reading those books as well and be doing so as an adult. Let’s take a look at some of the advantages and reasons why you should be reading children’s books as a writer. The first reason to read children’s books within your category, for example middle grade if that’s what you enjoy writing, is because children’s books are fun. If you are planning to write for children and you do not enjoy reading within your genre or category, you are not going to be very successful. Pick up a book and read it to remember how much joy you got from reading them as a kid. Another advantage that writers who read a lot of children’s books get is the ability to learn from some of the best writers in the business. Contrary to popular belief, writing for children in any category is not easier than writing for adults. In fact, many adult writers find it more difficult to write for children. But you can learn from some of the best if you read children’s books yourself. Telling the same story that someone else is already told – possibly better than you – means that you are going to get your book rejected by editors and kids are not going to want to read it because they have already read a similar story. Make sure you know what is already out there so that you do not repeat a story that someone else is already told. Kids today may not talk the way that they did when you were a kid. Listening to kids talk today is the best way to learn, but reading fiction that is written for today’s children will also give you some great lessons on how kids think and talk. This is especially important for writers who do not have kids themselves or do not interact with kids on regular basis. Reading great children’s books can motivate you to write your own books. If you are planning to write in the middle grade category, and in the fantasy genre, then you absolutely have to read the Harry Potter series. Harry Potter is probably one of the most inspiring book series ever written and many people have become writers simply because they read that series. Reading good books inspires you to create good books. That’s a simple fact of writer physics that you should take to heart before you publish your own books. While you’ve always loved writing and you’ve penned tons of stories for your own enjoyment, you’ve finally decided to take the big leap and turn your passion for writing into a career – or at least to try sell a book. You know exactly what you want to write and you’re pretty certain that it’s going to be entertaining and make some pretty big waves in the literary world. However, before you start writing, there’s something that you want to make sure you focus on: How long it’s going to be. The length of a novel can vary significantly, with some best sellers being only about 70,000 words and others being as long as “War and Peace”. With that said, you may be wondering why the length of your novel is so important. If your novel is too long, there’s a pretty good chance that you are going to lose the attention of your audience. 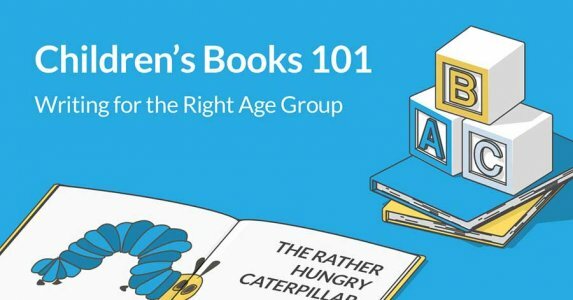 While they may have started out being captivated, if it’s taking too long to get to your point, then they might lose their stamina and could end up putting down the book. However, if it’s too short, they may feel like they have been cheated, that their questions weren’t answered, and that they wasted their valuable time and money on your short book. So, with that said, what is the ideal length for a novel? Below, we share what many consider to be the ideal word length for novels in different genres. Middle grade novels. Books in this genre are written for children between the ages of 9 and 12. Their attention spans are anything but long, yet they want to read something that they feel is fulfilling and entertaining. You can achieve that – and hold their attention – by writing a novel that’s between 25,000 and 40,000 words. Young adult novels. Young adults are older teenagers and people in their young to mid-20s (though many older adults read this genre, too). With that said, the attention span of this audience is longer, but they aren’t looking for long, drawn out books. Instead, they want something entertaining but that they can easily digest. A novel that’s between 45,000 and 80,000 words is ideal for this genre. Sci-fi and fantasy. With books that fit into this genre, you can get away with a lot more words. In fact, a higher word count is expected. Generally, sci-fi and fantasy novels are between 90,000 and 100,000 words; however, you may be able to get away with more than that, as long as you stay on top and don’t get overly wordy, otherwise, you’ll lose your readers’ attention. The most important part of writing a part is the revision. It is very critical to the completion of the book. Once you have finished the book, it is important to revise yourself first before giving it to others for their feedback. This ensures that your book is free of errors and came out the way you wanted it to come out. Book editing is not only challenging but also frustrating. It is also crucial to bridge the gap between getting your book published and getting it rejected. 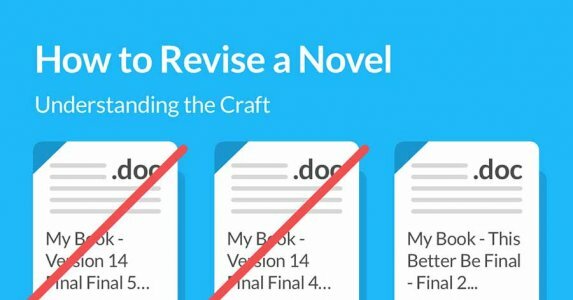 Here are some simple revision techniques which will help you in editing your book, improvising the manuscript and making it perfect for catching the eye of an agent or publisher. Always start from page one. It’s always best to start from the page and work your way through. It not only helps you to ensure that the plot is in the correct flow but also helps to study the characters well. You can go through it and try to understand if the order makes sense or have the characters changed in the novel from beginning to end. Editing becomes easy when you go stepwise, in order. Read your story as if you are reading it for the first time. And don’t ever do it in bits or pieces, you’ll definitely miss something. You may highlight the areas where passive terms have been used while revising. The terms slow down the stories and make it less exciting and thus must be avoided as much as possible. So, while you are revising don’t stop every time you find a passive term to change the sentence. Instead, you should just highlight the area and get back to making the corrections later, once you are done with the revision. It will help you observe the flow of the plot and not confuse you in the middle. After you are done with the revision, you may get back to the highlighted areas and recast the sentences to frame them in the active voice, only the ones which fit. The change from passive to active voice should never be forced. If a chapter has ended in the middle of the page, then make sure you start the next chapter on the next clean page. You make also add a blank page in between. This ensures that you can easily locate where the chapter ends and begins and if makes it easier to scroll through a few chapters. If you choose not to do this, the whole book may appear to be on a paragraph which will make the process of revision a more frustrating one. The notes made between two drafts can be very confusing, and you may miss some important points. To make sure you remember every detail of what needs to be updated, make sure you maintain a checklist while revising. This not only makes your work much easier, but it also ensures that all the wanted updates are incorporated. Breaks at regular intervals are significant to ensure that one doesn’t burn out. If you do, it definitely will not be helpful for your book. Take a break of some hours, and you are ready to go back to making your book all perfect. Hope this helps you figure out the process of revising your book. The efforts may be huge, but the results are worth it. Happy Writing! Storytelling is art in itself. No story can be beautiful if you do not tell it the way it should go. There is always flow in case of storytelling. You cannot say a certain part before another. The story should have a flow, or else it loses its essence. It is very important to maintain the sequence to tell your listener or reader understand the feelings and meaning behind your story. Your words should be expressive enough to make the audience imagine their world. Stories are the escape route from the real world. As a storyteller, you possess a great responsibility to create a whole new world for the audience. The timings, expressions and flow are the major ingredients in a perfect story. Before you start telling the incidents in the story, it is essential that you give the context of the story. The first ten lines are the most important part of the story. That is where you capture reader’s attention. If you miss these ten lines, you lose the reader. It is very important that your introduction is powerful to hold the reader. Always make sure to introduce your character well. It is nice to keep some mysterious aura around your characters. But make sure it is interesting enough for your readers. Do not casually use something that is unnecessary. The structure of the story is very important. The structure is the spine of a story. Without that there is no story. Build up the story structure before anything else. Here is where the flow comes in the account. The story should be smooth. The transitions should be on point, or else it will seem like a chunk of paragraphs and words. The structure should be well thought. Languages are one of the keys to a good story. The words used in the story should be well enough. The words should not be too complicated or too simple. It should be a balance. If it is not, readers might lose their interest. Grammar is main. Make sure what you wit reis grammatically perfect or else the grammar Nazis will definitely criticise. Feedback is very important. Never go all out with your story without knowing the opinion of at least two or three people. It is very important to have a viewpoint other than yours because that will help you to analyses the points that you might have overlooked or must have thought ok while writing the story. Never hesitate to take extra help. But also remember the story is yours not anybody else’s so do not mould everything. The conclusion is the most important part of any story. This is where your story is judged the most. It is very very important that you pay double attention to this aspect. Wrap your story well or else the whole thing does not make any sense. The conclusion should not be hurried or late. You can keep it ambiguous but make it understandable. 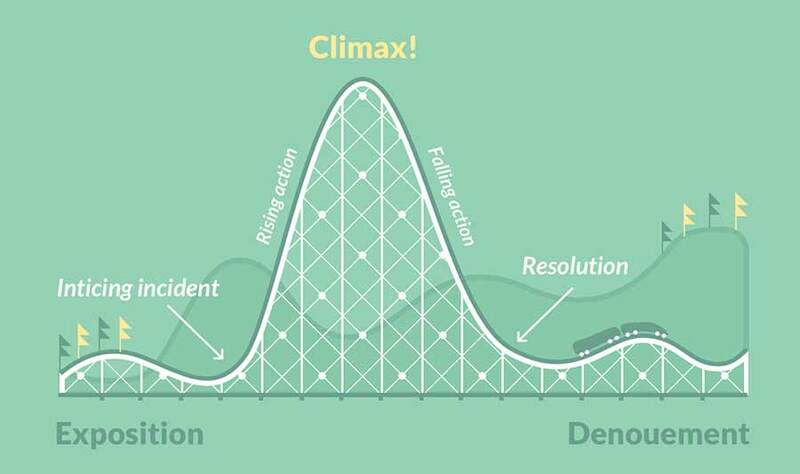 Many awesome stories fail because they can’t convey until the end. These are the few points that you should keep in mind while storytelling. Getting a book published can appear complex, but it becomes much easier once you have the whole process broken down into smaller steps. The process can also get lengthy sometimes, it isn’t easy or quick, but you just have to be patient enough to get that done. And once you get it done, all the hard work will be worth it. Here are some of the steps that one needs to follow to get their book published. The book should be ready in such a way that if it hits the shelves today, it doesn’t seem out of place. Make sure you have edited out any grammatical or spelling mistakes, and the plot errors are checked. You may want to get it reviewed by someone else and incorporate the changes which feel right to make the book perfect from your end. Or, you can use Grammarly for a cheap and somewhat effective alternative. Agents usually are open to the type of work they specialise in and might not accept any other kind because of factors like personal interest or contact with publishers in the areas of their specialisation. Thus, one must do a lot of research on agents before approaching them with their work. List of agents can be found by scouring the web for other writers’ experiences. Shortlist some who you feel might be interested in your book. The query is the initial point of contact with the agent and must provide some information about the writer, the expected audience for the book and about the book. A well-written synopsis helps gain the interest of the agent. It should not be more than a paragraph or two and must give an idea of the theme and plot of the book. Crisp and to the point, it must not give away too much about the plot. It must be free of errors, professional, and succinct. Submitting to one agent at a time might just take years to publish your book. So, though you must contact more than one agent at a time making sure they get an impression that you contact them specifically. It is suggested that one shortlists at least five to ten agents they might want to approach. Grabbing the attention of an agent might take a long time. So, make sure you are patient. After many rejections, you might want to give up but don’t. See if you want to make some amendments to the query letter or synopsis or have a professional give you feedback on the same. Accept the offer when it comes. If it is more than one, then pick whichever seems best. You must avoid trying to reduce the offered rate actively. Being difficult from the start might simply make them move to the next. Agents are experienced, and thus one must take their constructive feedback on their work. It is also important to create a balance between the change requests by your agent and the degree to which you are prepared to alter your work. Agents too might submit to multiple publishers at once. And sooner or later they will find a publisher for your book. So, just be patient. Take the offer if you like it. In case of an online self-publishing platform, if you have two or more offers, use it to negotiate for upfront payments or percentage of sales. Actual negotiating will be done by the agent since he is a professional. So, trust your agent. But make sure you understand the terms of signing. Publishers will have their ideas just like the agent. Be grateful for the feedback but ensure to maintain the balance between the change requests and the degree to which you are prepared to alter your work. And you’re done. Getting a book published may be difficult, but it is worth it. © 2019 Open Bookmarks | WordPress Theme: Blogghiamo by CrestaProject.